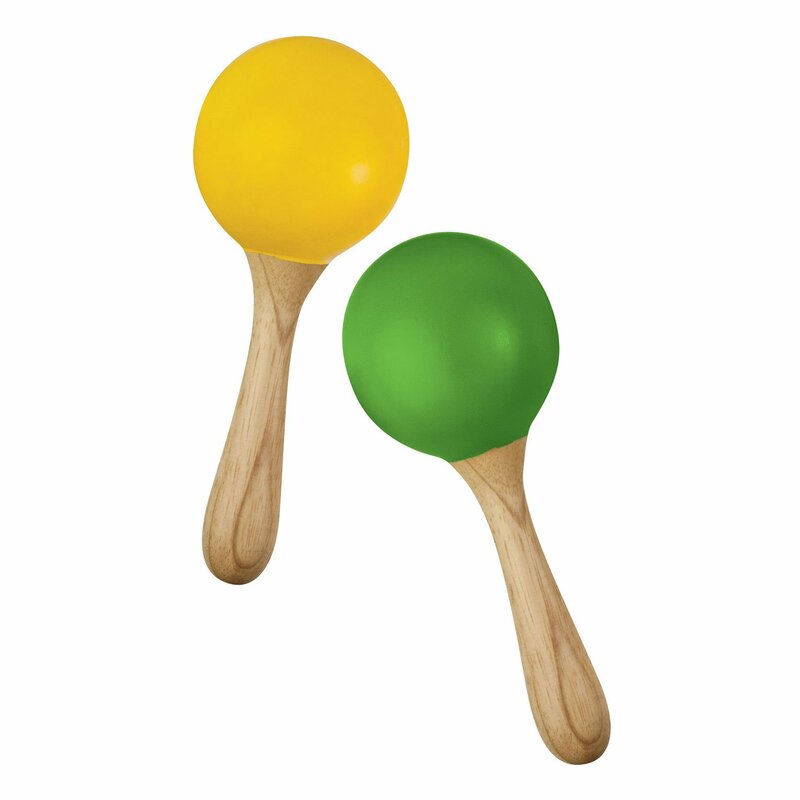 One pair of handle maracas, one yellow and one green, are easy to hold and shake. The small round head design produces a brigher more focused sound. Handles are comfortable to hold and made from smooth Rubberwood. All wood construction made from environmentally friendly Rubberwood with a non-toxic clear coat finish and water based VOC free paint. Great for children 24+ months!